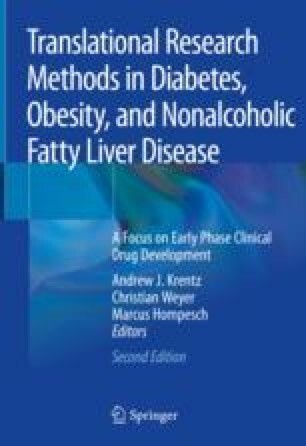 This chapter reviews the major peptide modalities used in the treatment of diabetes and related metabolic disorders. The focus is on design principles for molecules and formulations in current and emerging applications. Insulin is by far the largest single category. Traditional and ongoing efforts on engineering predictable pharmacokinetic (PK) profiles have gradually refined the injectable insulin preparations we know today. A set of innovations for the future focus on ways to circumvent the intrinsic low therapeutic index of insulin, either by developing a glucose-responsive insulin or a “closed-loop” delivery system capable of operating as an artificial pancreas. Only discovered in the 1980’s, glucagon-like peptide-1 (GLP-1) is already established as an important and rapidly growing diabetes drug class. A variety of peptide engineering techniques have been used to develop GLP-1 analogs with a wide range of PK properties. The combination of glucose-dependent insulin release and the central effect on satiety makes GLP-1 particularly attractive in the treatment of type 2 diabetes, alone or together with insulin. Emerging combinations of the anorectic GLP-1 effect with a boost in energy expenditure or other pharmacologies currently seek to explore applications in co-morbidities such as obesity. Novo pipeline information November 2017. https://www.novonordisk.com/rnd/rd-pipeline.html. Mannkind Corporation website information accessed November 2017. http://investors.mannkindcorp.com/releasedetail.cfm?ReleaseID=948810. Zion TC. Glucose-responsive materials for self-regulated insulin delivery, Department of Chemical Engineering, Massachusetts Institute of Technology, 2004. http://hdl.handle.net/1721.1/28359. Merck pipeline information. November 2017. http://www.merck.com/research/index.html#Pipeline. Transition Therapeutics pipeline information November 2017. http://www.transitiontherapeutics.com/technology/pipeline.php. Sanofi pipeline information. November 2017. https://en.sanofi.com/Images/40641_RD_Portfolio_PharmaVaccines_2017-11-02.pdf. Hanmi Pharmaceuticals pipeline information. November 2017. http://www.hanmipharm.com/ehanmi/handler/Rnd-Pipeline. Eli Lilly pipeline information. November 2017. https://www.lilly.com/pipeline/index.html. Zealand Pharma pipeline information. November 2017. https://www.zealandpharma.com/longacting-amylin-a.